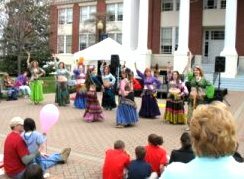 My performers bring a touch of "Arabian Nights" to audiences of all ages! 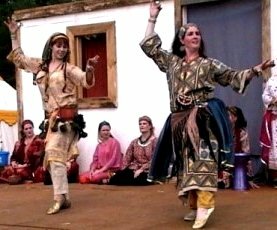 Our repertoire is diverse, unique, and represents the wonderful variety of belly dancing. 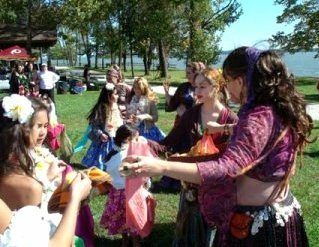 Specialties include Veil, Cane, Sword, Candles, Fan Veils, Finger Cymbals and more! 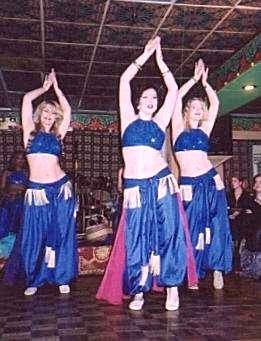 We've been sharing the beautiful art of belly dancing in fun and educational performances since 1992. We're upbeat, entertaining, always professional and family friendly. PRISM Dance Company is dedicated to honoring our art form by presenting it in the best possible light; and respecting the cultures of its origin by learning its history. We believe that dance is not only a fine art but a universal language with the power to enlighten and inspire both the performer and the audience. We share the dance as wholesome entertainment to educate audiences and promote understanding of the art. 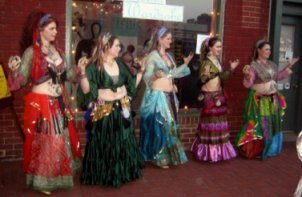 We share the beauty and joy of belly dance among ourselves by support each member’s growth and talent as an individual. We promote unconditional love and the respect of individual human rights. 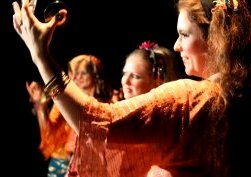 We welcome guest dancers: are you a belly dance student interested in joining our performances? My students form the core of most performances, but other dancers may be invited to perform with us on a limited basis. Dedication and respect for others is as important as dance ability. If you are interested in a longer commitment, ask about trying a session of my Rehearsal Club. Each session runs for three months, and membership may be renewed after each three-month session if mutually agreeable.